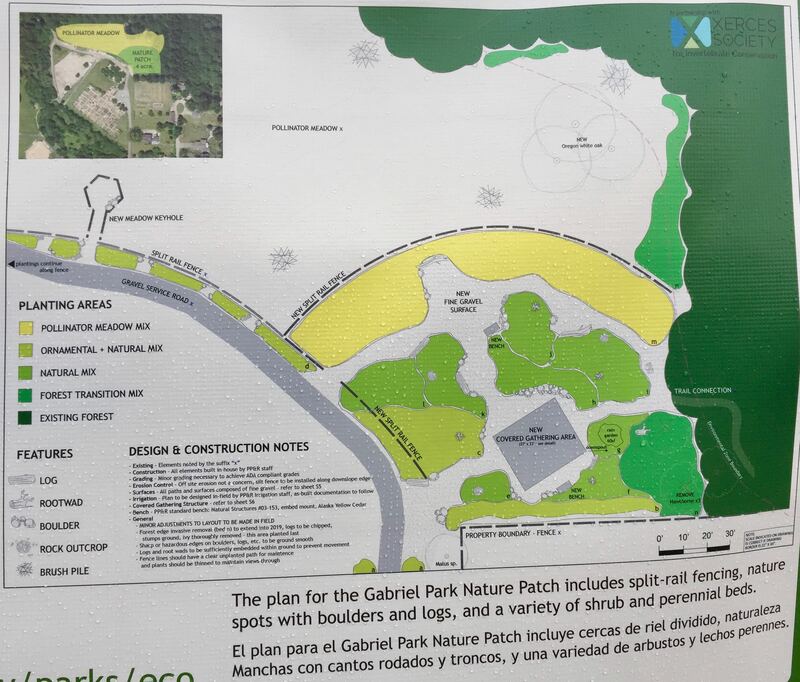 Artist’s rendering of how the Gabriel Nature Patch could look in full bloom. Help put the finishing touches on the Gabriel Park Nature Patch – a new natural landscape for pollinators and people. Parks staff have been busy moving earth, placing logs and boulders, and installing fencing to create this cool space. 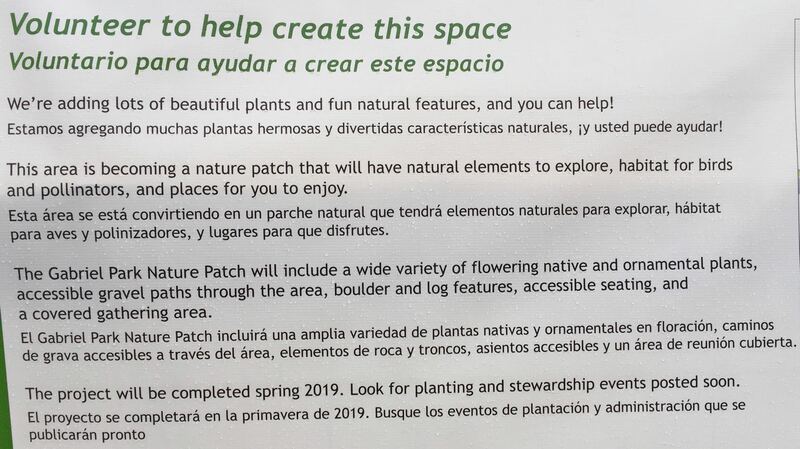 Once complete, the Gabriel Nature Patch will feature native and ornamental flowering shrub beds, natural seating, and interesting habitat elements. The patch overlooks a beautiful pollinator meadow brimming with native forbs, grasses, and wildflowers to support wildlife. 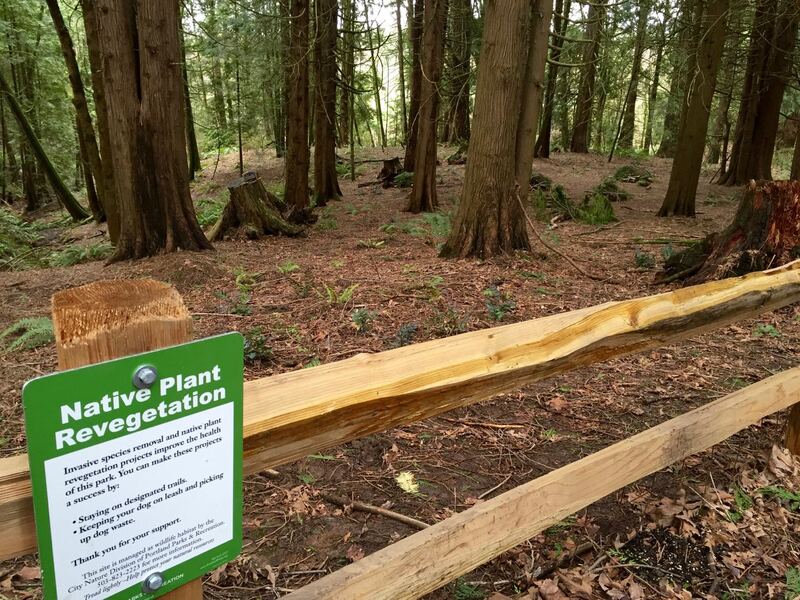 At this event, we’ll install hundreds of plants to bring life to the nature patch. 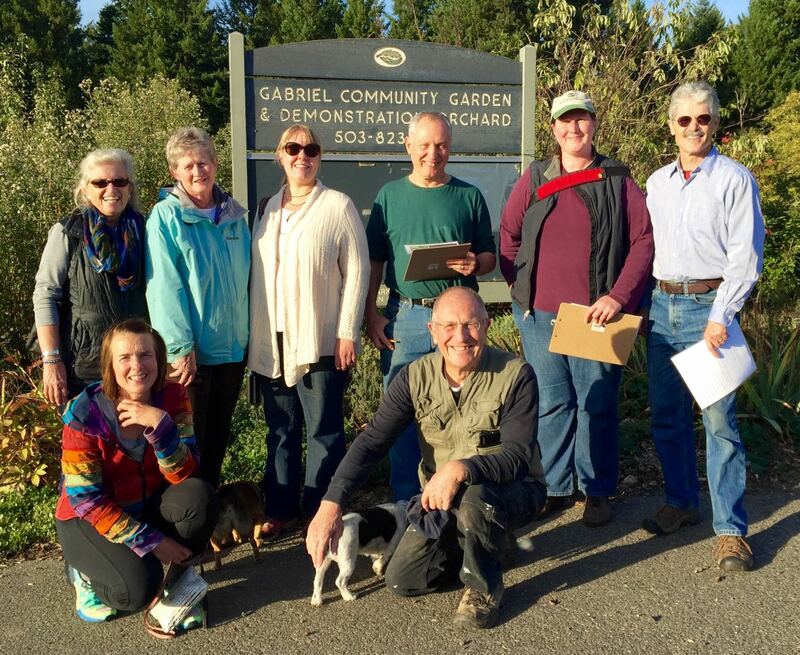 WHERE: South Gabriel Park – across from the community garden and orchard – off of SW 40th Avenue and SW Canby Street. Google Map here. Parking: is available at two small parking lots and on adjacent streets. Transit options include nearby Trimet bus stops on lines 44 and 45. 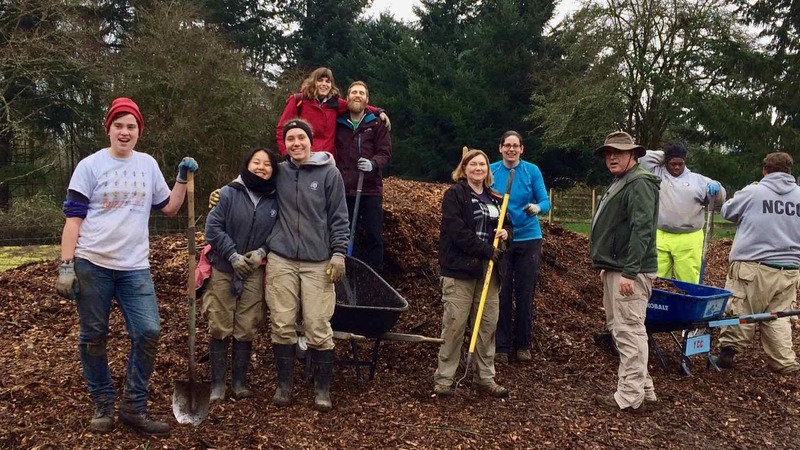 • WORK PARTY: 11/4/17: Portland Parks & Recreation hosted a volunteer event at Gabriel Park restoring the upper pollinator meadow with leaf mulch, invasive removal and mulching the fence line. A family friendly event and all ages are welcome (children must be supervised by an adult). Instruction, tools, gloves and snacks were provided. Thanks-you volunteers! 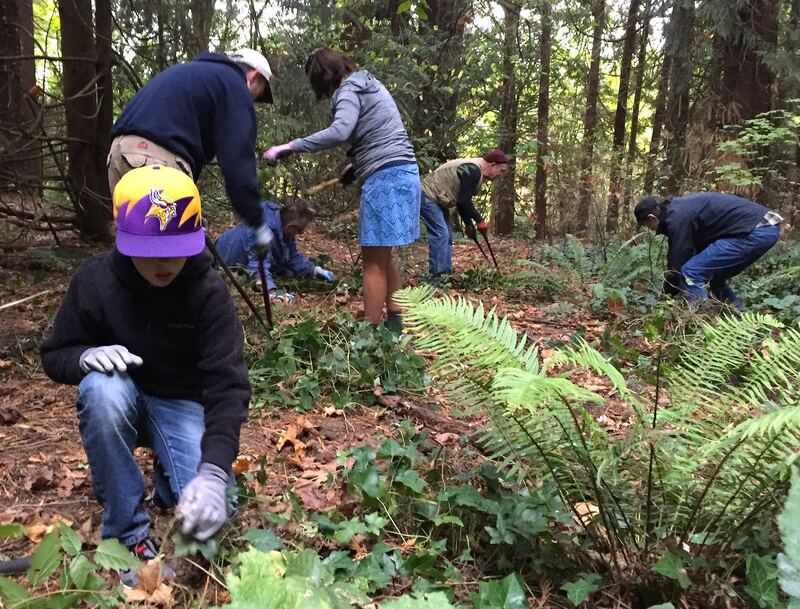 • WORK PARTY, 10/5/17: SW Trails work party in Gabriel Park from 9AM to Noon. 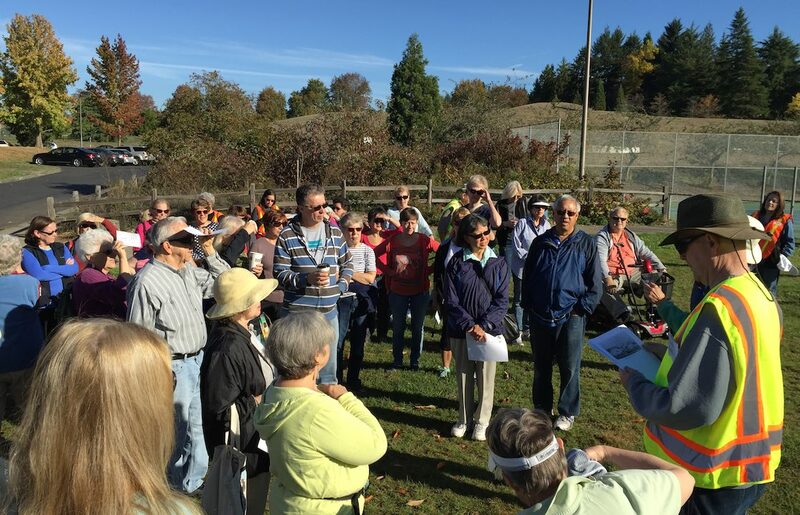 Volunteers worked on SW Trail #3 as it exits Gabriel Park heading West to the Presbyterian Church. Trail grading, a short bit of new trail construction, brushing, and trail closure of some demand trails in the area. 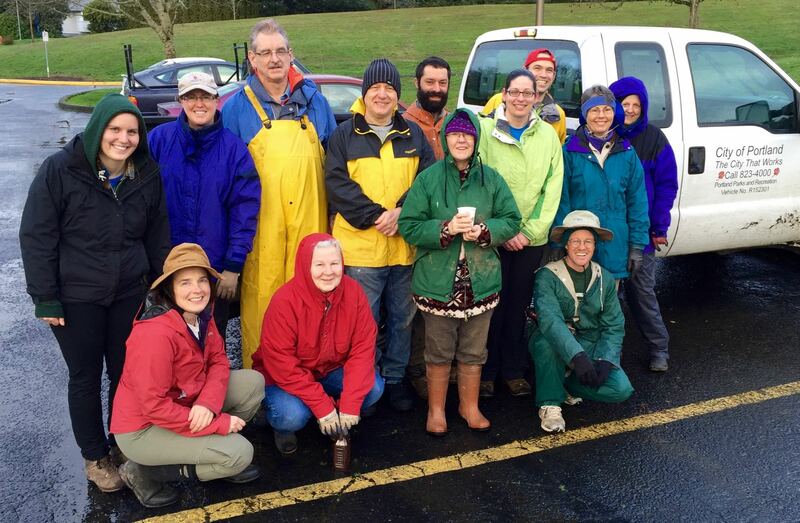 Guided by the Portland Parks Lands Stewardship folks. 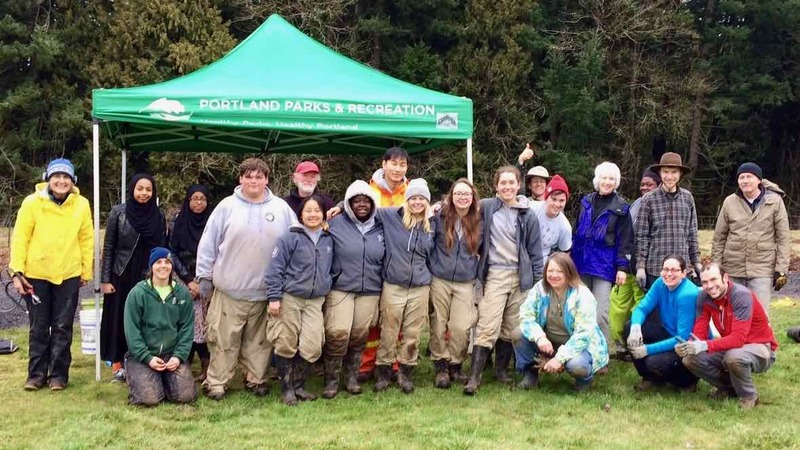 Tools, gloves, and materials provided by Portland Parks & Recreation. Thank-you volunteers! • MULTNOMAH DAYS, 8/19/17: : Friends of Gabriel Park volunteers hosted an information table in the SW Watershed Resource Center Environmental Tent. Many of our neighbors stopped by to say hello to our volunteers and learn more about Gabriel Park and FOGP. • WORK PARTY, 6/10/17: Volunteers installed fencing along Gabriel Park’s new Pollinator Meadow. A family friendly event. Tools, gloves, water, coffee and snacks provided by PP&R. • MEETING 3/20/17: PARKS BOND: SUPPORT THE GABRIEL PARK PLAYGROUND RENOVATION: During the Parks Bond Town Hall meeting at the MAC, we learned renovation of the playground in Gabriel Park is on the list of proposed projects. However, it’s not a sure thing yet! Please register your support and comments before April 4th using the online comment form! • WORK PARTY 9/1/16: SW Trails held a Work Party in Gabriel Park guided by Parks Lands Stewardship Soft Surface Trails folks. 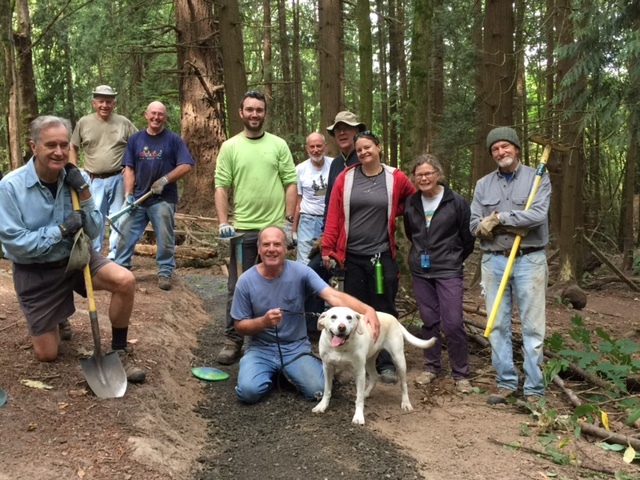 Volunteers did a trail reroute on SW Trail #3 as it passes through the park and some additional brushing and tread work. 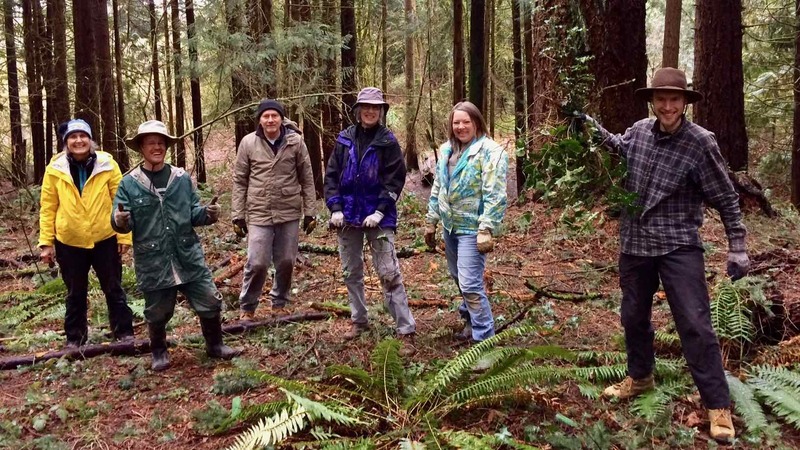 It was a fine day to get some exercise and help SW Trails improve the Urban Trail System! 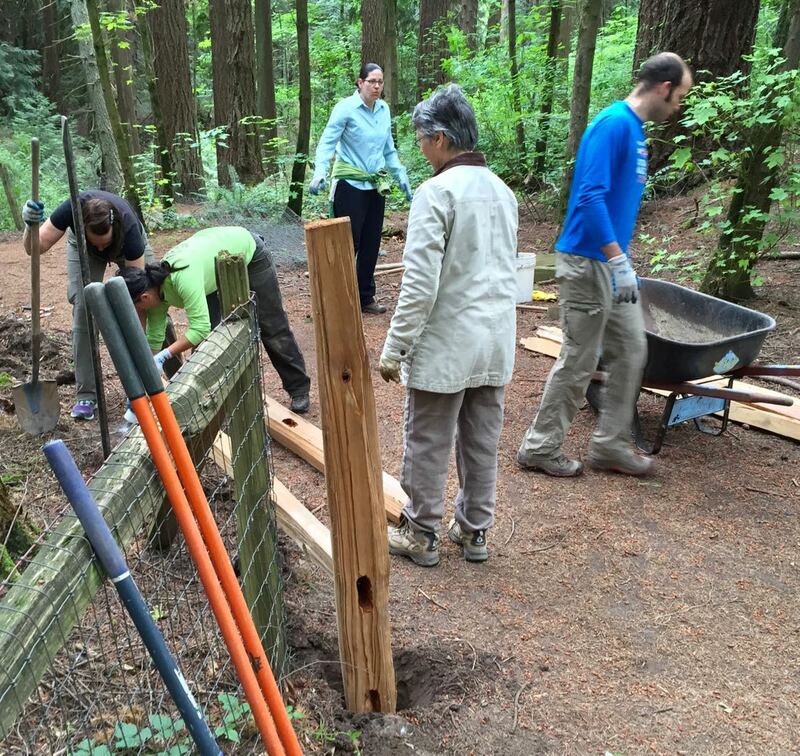 • WORK PARTY 6/11/16: Neighborhood volunteers worked with Parks staff to extend a new split-rail wood fence along one of the forested nature trails. Everyone had a great time! Admire their work next time you’re on the trail! 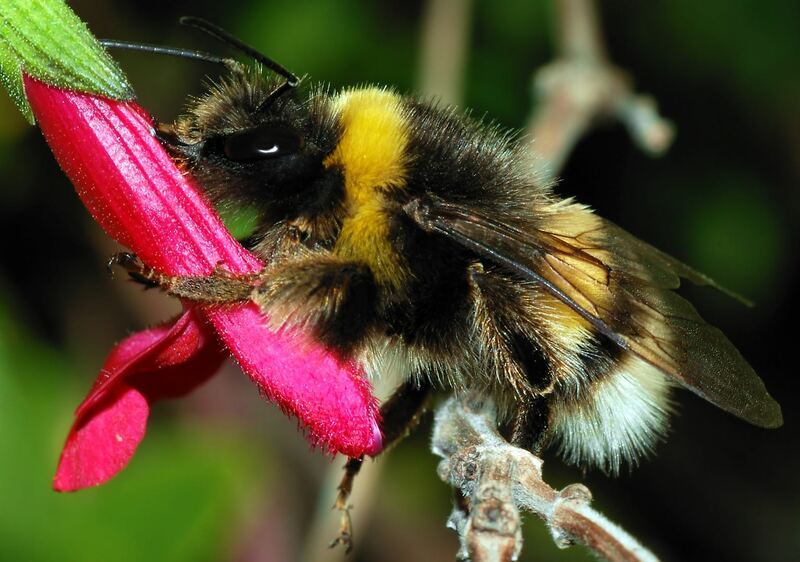 • 4/20/16: PRESENTATION: “The bumble bees of Gabriel Park”: Spring is here and the construction of Gabriel Park’s pollinator meadow is underway, so it’s a great time to learn more about the native pollinators in our neighborhood. 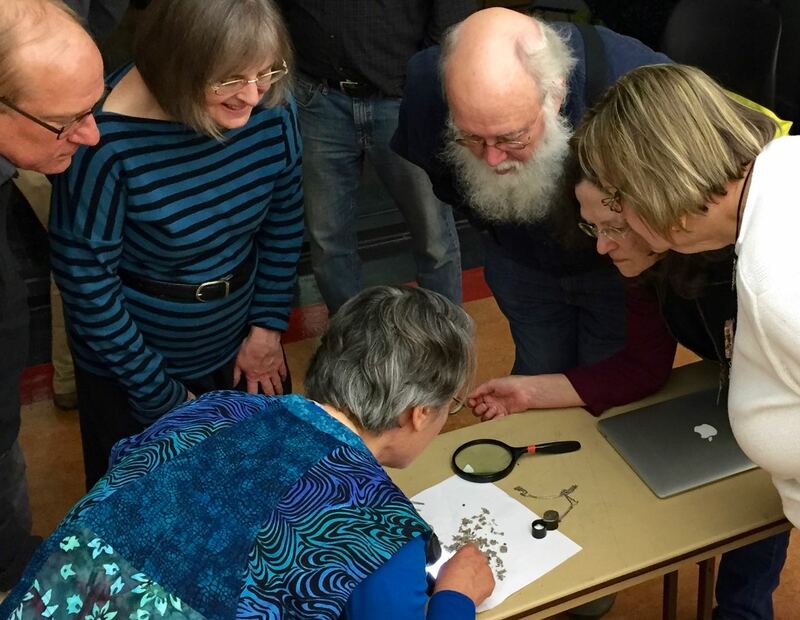 At our April meeting Dr. Susan Masta gave a presentation on the bumble bees found in Gabriel Park. We learned about their biology, life cycle, and how they pollinate plants. Dr. Masta is an Associate Professor in the Department of Biology at PSU, and curates the Dept.’s insect collections of the Museum of Natural History. 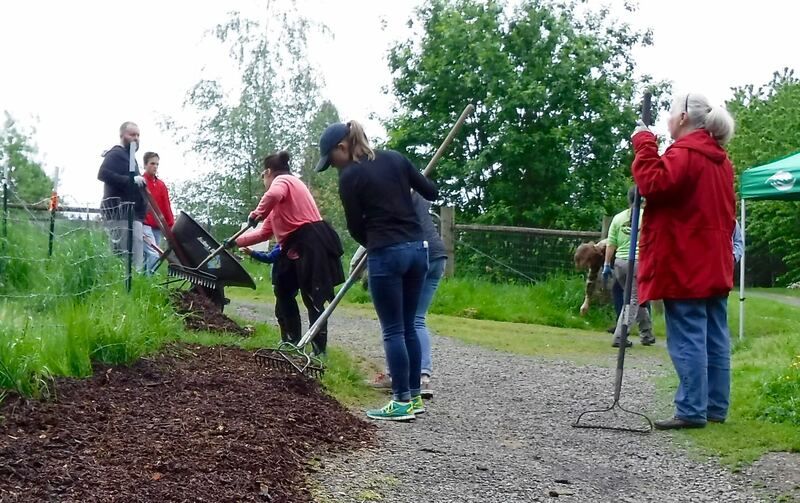 • 4/23/16: EARTH DAY Work Party: Our wonderful volunteers began the process of spreading mulch along the entire length of the new Pollinator Meadow in south Gabriel Park, between the new wire fence and gravel walkway. To be continued! Susan Masta (LL) dissects an owl pellet. 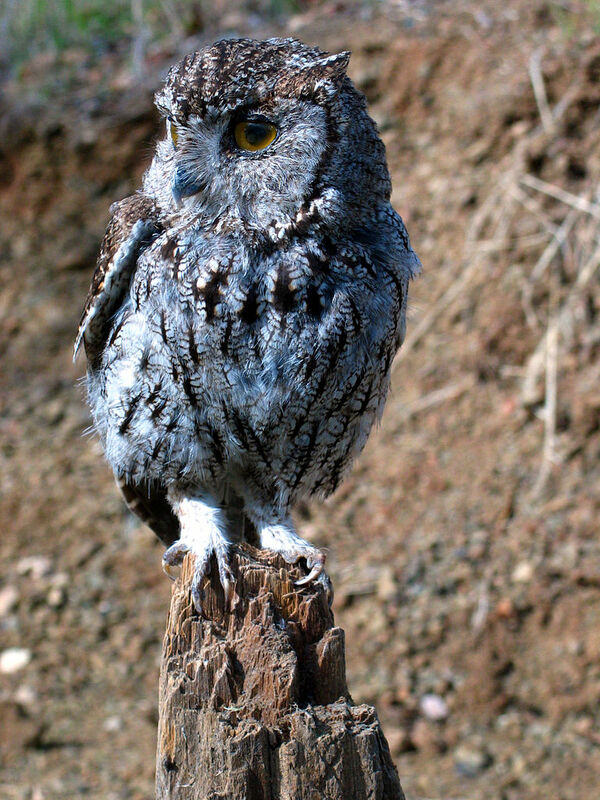 • 2/17/16: Jay Withgott and Susan Masta gave a presentation on the owls of Gabriel Park at the Friends of Gabriel Park monthly meeting at SW Community Center. 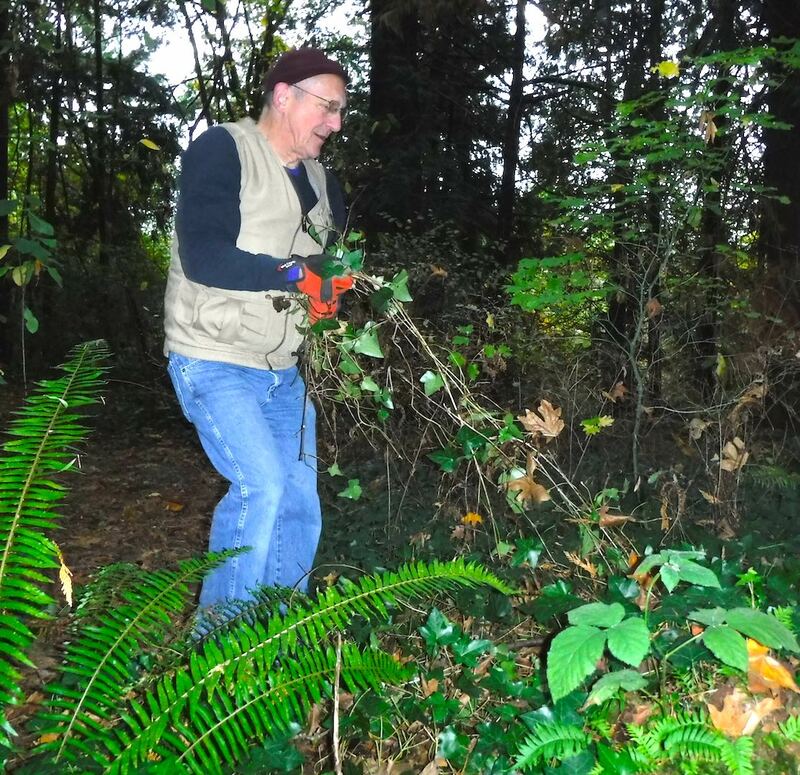 • 1/30/16 WORK PARTY: Volunteers built constructed brush piles using invasive trees cut from the natural areas. 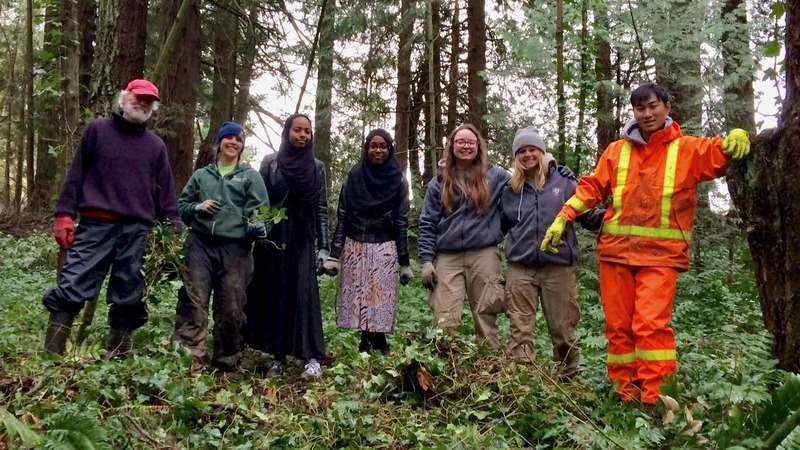 We planted 300 plants of several native species, and created a number of brush piles from two invasive trees that were cut down. Brush piles create great habitat for wildlife in areas that don’t have a lot of cover. 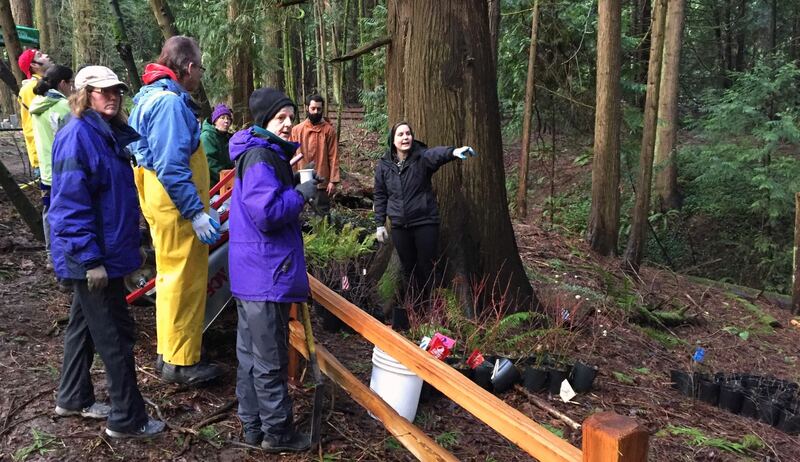 Volunteers also planted native trees and shrubs in areas that have been cleared of ivy in the central forest behind the new sections of volunteer-installed split rail fence. Everyone had a blast, and it felt like we really made some good progress! “After” photo, showing new plantings & brush piles. 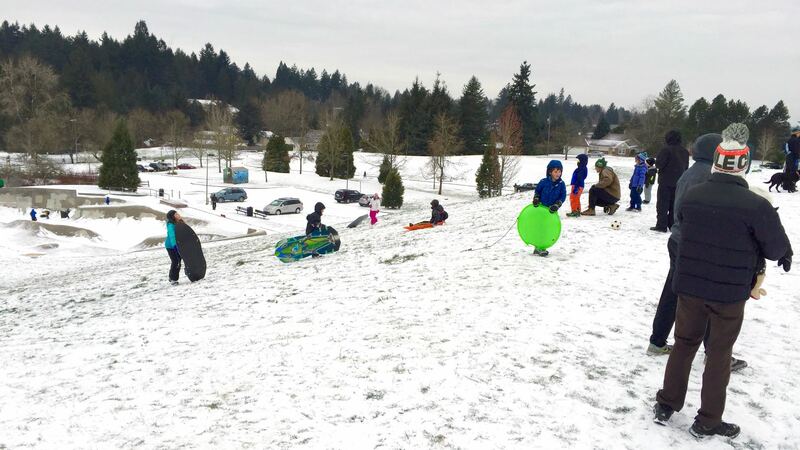 Sledding in Gabriel Park, 1/3/16. 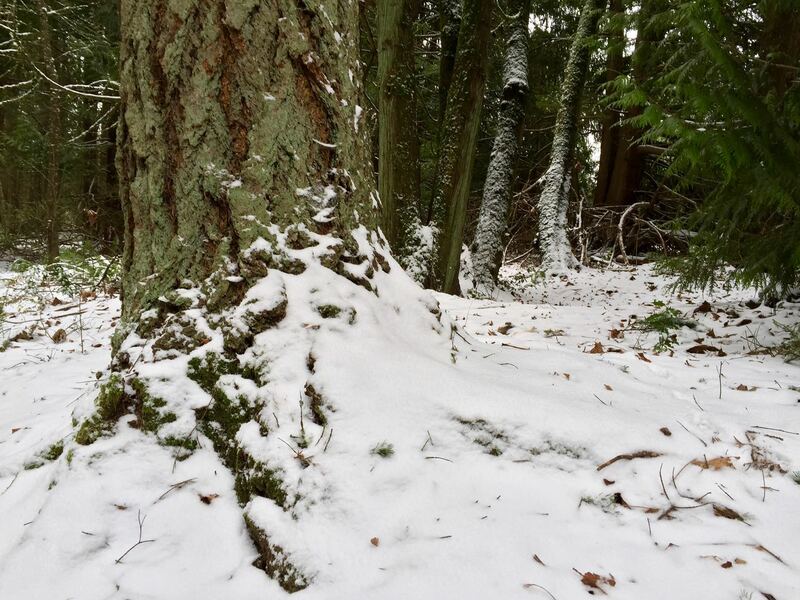 Snow in Gabriel Park, 1/3/16. 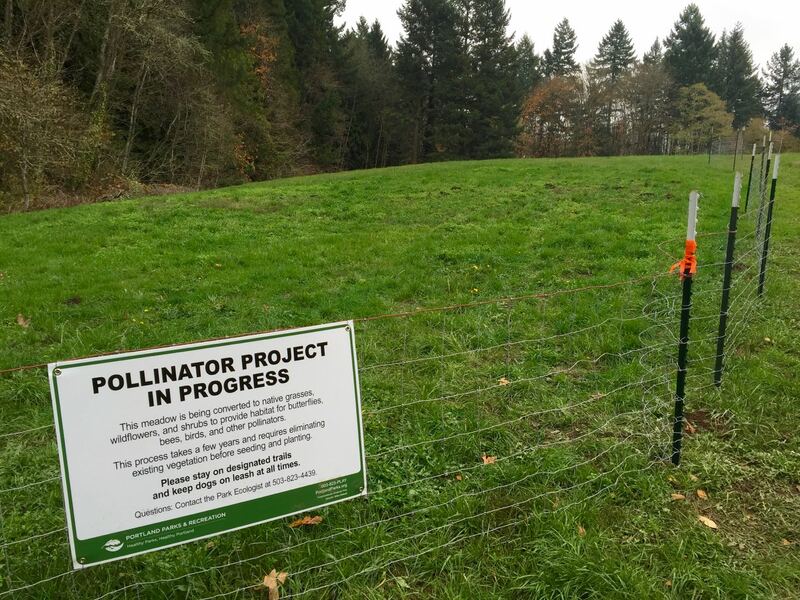 • 11/15/15: Work has started on the new Pollinator Meadow nature area in Gabriel Park! Click the photo to enlarge. Click here for more info. 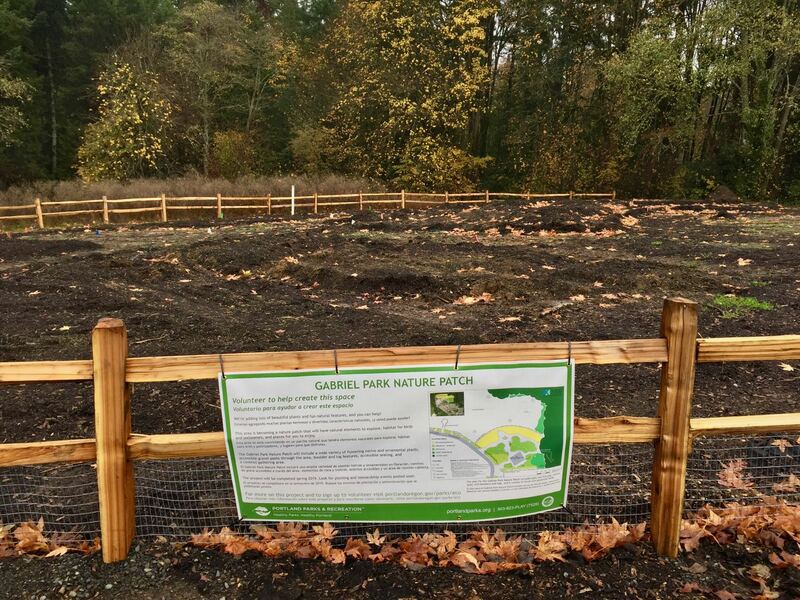 • Thurs., 10/22/15: Janelle St. Pierre, Staff Ecologist with Portland Parks & Recreation conducted a tour of the Gabriel Park Southern Park Concept Plan project area (see above) from 4:30- 5:30 starting at the parking lot next to the Community Garden.